Disney’s Animal Kingdom Lodge resort is located just beyond the Animal Kingdom Park within very natural surroundings. While it is very close to that particular park, you still cannot walk from the resort to Animal Kingdom and guests must use bus transportation. Because the resort is so large there is also some distance between Kidani Village and Jambo House. If you happened to be staying at the very far end there is a walking path that connect them, but most people used a mini shuttle that runs back and forth between the two lobbies. The shuttle runs continuously so we never had to wait more than ten minutes. This features came in handy when we wanted to pop next door to dine at Boma or get drinks at Victoria Falls Lounge. Animal Kingdom Lodge is of course known for one big thing — animals! The buildings have been designed to wrap around the savannah lands. A portion of our DVC membership dues go toward supporting the animal habitats and their care. We always make sure to get a Savanah view to be able to see the Animals from our room, but the buildings do also have many windows throughout the long hallways so you can stop and view the animals while heading towards the main lobby. There are also many nice viewing areas, some even come equipped with Cast Members to teach you about the wildlife. This aspect of the theming really can’t be beat, and is one of our favorite parts about this resort. There is nothing like waving at the giraffes while enjoying a morning coffee on your balcony. We must admit the lobby of Kidani Village is far less impressive than Jambo House. While Jambo house is also a hotel and has that grand, multi floor opening (kind of reminds out of Wilderness Lodge), Kidani feels a bit more cozy. It is one level, so while it has some higher ceilings and a wall of glass that looks out onto the Savannah, it just doesn’t have the same “wow” factor. The lobby building is also smaller because there are not as many restaurants and lounge areas. There is a very small store up front located that sells some small souvenirs, snacks, and beverages. If you have a refillable mug, this is where the station is to top it off. Down the stairs underneath the lobby is where the main restaurant, Sanaa, is located. One day when the shop had a technical malfunction and the doors were closed Sanaa was nice enough to fill our drink mugs for us. Luckily, when we arrived, our room was ready for us so after checking in, so we headed there next. There were two main ways to get to our room. The first was to make the long walk from the lobby to the room. Our room was located pretty far out around the resort which made for quite the walk getting to and from the lobby and the resort bus stop. However, when we checked in, we were being dropped off by Julie’s Dad in his car, so getting to the room was a breeze. The one big advantage Kidani Village has over Jambo House is the parking. The entire ground floor is the parking garage. We were able to drive out to the elevator closest to our room and take that up to minimize the walking. So pro tip: if you have a car, Kidani Village could be a better bet as it will lead to less walking than Jambo House. We visited while the holiday decorations were up. Even the garland detail was so well themed. Once you’ve seen a Disney Vacation Club studio room, for the most part (other than theming), you have seen them all. We have stayed at multiple DVC properties and the rooms are almost all laid out about the same. Upon entering, on one side is the kitchenette and the other is the bathroom. The kitchenette had the usual microwave, sink, toaster, coffee maker, and small fridge. One newer thing about the DVC studio rooms to note is the eating wear. Disposable plates, bowls, and utensils always used to always be stocked in the cabinets but recent changes have removed these and guests have to ask for these items specifically. Unfortunately for us, we forgot this until it was time to cook our breakfast. It took two phone calls and near an hour to get a few plates delivered to our room. 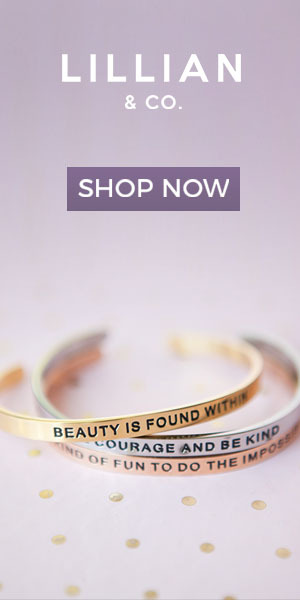 We believe if you are forced to ask for these items, they need to be made available quicker than they were. We find these rooms to be plenty big enough for just the two of us. 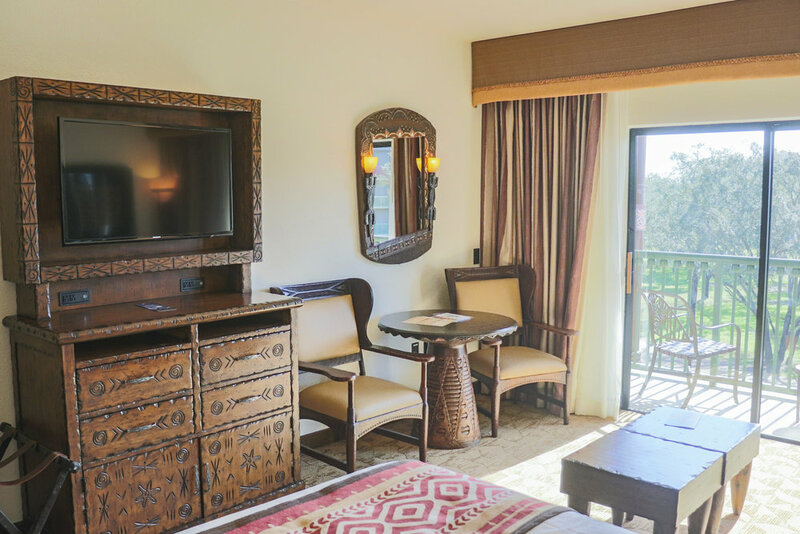 Animal Kingdom Lodge rooms also tend to have plenty of storage for luggage and all of our clothes. Unlike some of the newer DVC resorts that have murphy beds hiding in the dressers, Kidani Village actually has drawers in the dresser along with a good size armoire as well. Moving to the bathroom, which was separated from the room by a door, there was one sink with plenty of counter space. The toilet is separated by another door for privacy. Animal Kingdom Lodge had not switched over to the H2O+ dispensers in the shower as of our visit. However, if it hasn’t yet, it will be switching over soon. One minor gripe we have about the rooms at Animal Kingdom is the theming can make them feel a bit dark. Similar to the Grand Californian, the darker décor seems to make the whole room dark, much more so than other DVC properties we have stayed at. There are plenty of lights to counteract this, but it is something we noticed. The room includes a comfy bed as well as a pull out sofa sleeper. The small but sufficient kitchenette. Our balcony with that view! Just like when we cruise, we always try to get the best view we can when deciding the category of DVC room when booking. We always reserve a Savannah View room and even though it is more points, we find it is worth every penny. From our balcony throughout the week, we saw Zebra, Giraffes, birds and more. But unfortunately on this particular trip we ran into somewhat of a bummer. During this week they were doing some painting on our buildings, the problem was that required huge teams of contractors with noisy equipment like trucks and cherry pickers. As soon as they would start working early in the morning the animals would scatter for the day. If this happened for a day or two fine, but as they worked their way around the “U” throughout the week we were disrupted every single day during the whole week. We spoke to some cast members about our disappointment about paying for a Savnnah view to experience an empty and noisy area for the whole week, other than a few minutes early in the morning. They were very helpful and ended up refunding us some points that were the difference between our upgrade and a standard room. Another thing to think about for those who are really concerned about which animals they are seeing from their balcony, the Savannah is broken up into different areas. For example, one side of resort will see certain animals while the other side will see different ones. Also, some guests prefer being on lower floors so they can see below the tree line where other guests prefer to be higher up. We have always been given higher floor rooms and have been satisfied with our views. For Kidani Village, the lowest floor that has rooms is technically the second level (parking is on the first). Fun African flairs can be seen on furniture and textiles. H2O+ products in the bathroom. Plenty of counter space to share and get ready. There aren’t many options when it comes to dining at Kidani Village (which is another reason why we prefer Jambo House). The one restaurant is Sanaa, which serves breakfast, lunch and dinner. For breakfast, Sanaa operates like a quick service restaurant where lunch and dinner it is a sit down meal. We have heard from some friends this is a great spot for lunch, and it is on our list for a future visit! 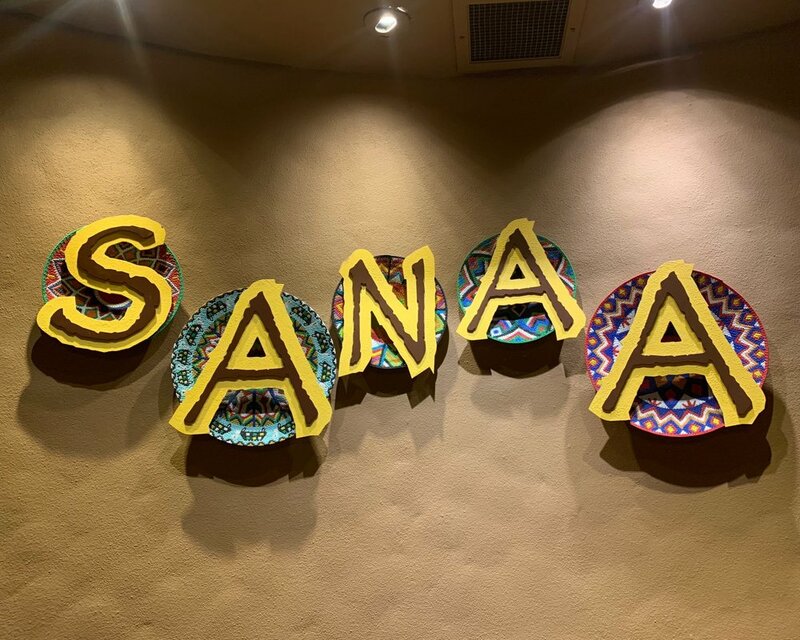 There is also the Sanaa Lounge but when we went to get a quick drink one night, we realized it was super small space that seemed like an extension of the restaurant and wasn’t very lounge like. It was too crowded so we ended up popping over to a Jambo house lounge instead that night. It may be a different story if you go visit in an off time during the day. We did get a chance to enjoy the outdoor poolside bar, Maji, during our stay. We decided to get away from the crowded parks for a day and spend some time poolside. At Maji, we enjoyed some tropical drinks like a Sunshine Margarita and ordered some quick serve food such as a Kenya Coffee Barbecue Sandwich which was really good. The convenient thing about getting lunch at Maji was that everything they serve is ready in a matter of minutes (mainly sandwiches) so there wasn’t much waiting around. We also liked the vibe of the bar, it reminded us like an open air Caribbean bar in a way. During this visit, we made it a point to take some time away from the parks to relax at the resort. This included hanging out at the Samawati Springs Pool, which is the pool located at Kidani Village. While there are two hot tubs, we much preferred the one hidden up behind the waterslide. It was much quieter in this one with less traffic going by. There aren’t any chairs next to this tub but there is a bench and concrete area to place your things if you don’t have someone to watch them poolside. Just above the pool area is the Survival of the Fittest Health Club. While there is a small gym in this building, there are also nice bathrooms with showers. 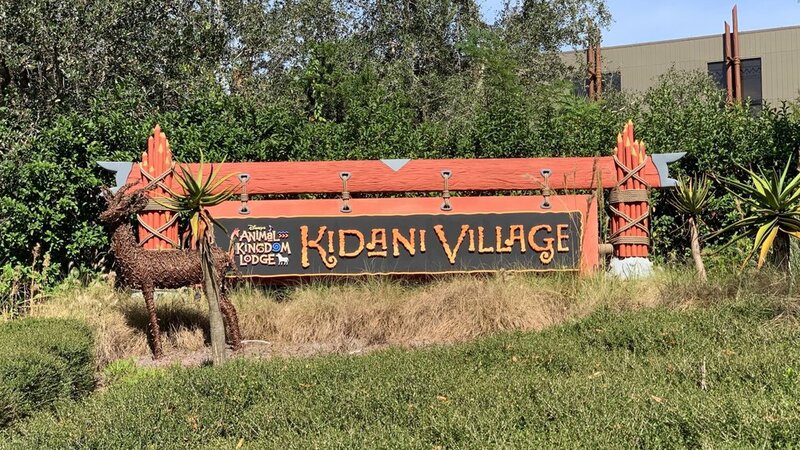 It is good to note Kidani Village also has two tennis courts, two shuffle board courts, and a basketball court if interested. It was a gorgeous and non crowded pool day! As with any Disney property, bus service is available. There is one bus stop for Kidani Village, just outside the main lobby entrance. The Kidani Village bus is shared with the Jambo House resort. The bus stops at Kidani first, then Jambo, then off to the final destination. It returns to the resort area in the same order. One thing we noticed about this trip was how terrible the bus service was. Besides having a driver that, despite his best effort, actually got us to the park alive, they were very sporadic. At one point, we waited over 45 minutes for a bus at Hollywood Studios. Julie finally went to flag another bus down to ask them to call someone to come get us. There are TV screens in the covered bus station with the bus arrival times. These times were generally accurate and always matched the My Disney Experience App. When taking the bus to the airport, guest are picked up just on the other side of the median outside the main lobby (not under the cover). As we mentioned above, there is also a shuttle bus the runs between the two Animal Kingdom resorts. It runs every ten minutes or so and was convenient when we went over to Jambo house for breakfast one morning and for drinks another evening. We typically bring a car when we travel, after this experience we will not choose to reply on busses while staying at Animal Kingdom Lodge again. We feel like we got a little lucky in that we purchased into the Disney Vacation Animal Kingdom without ever having stayed there, and ended up really loving this home resort. However, after our first stay at Kidani Village, we can say overall we prefer Jambo House. We really liked the studio room, which is basically the same at both resorts (others may find more specific differences in different sized rooms though). Also while the parking is convenient we don’t mind the walk to the room as we see animals along the way. At the end of the day we really just prefer the grandness of the Jambo House lobby, more activities going on, and having more dining options.